Christmas is a joyful, wonderful time of the year to spoil loved ones and let them know how special they are to you. 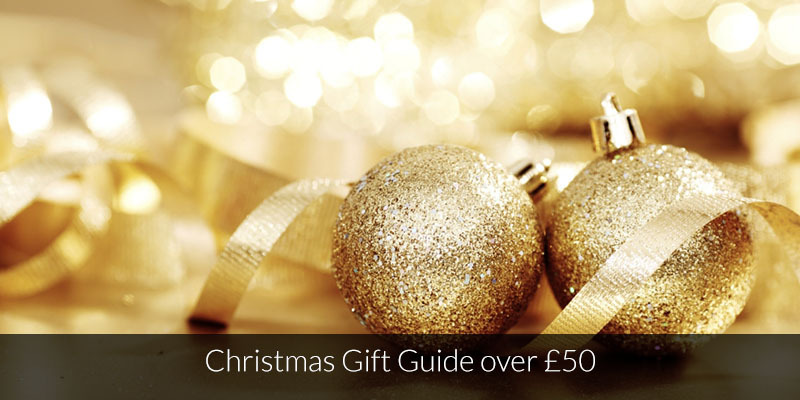 If you are looking of a gift that is extra special this year, take a look at our Christmas Gift Guide for gifts under £30. Whether you are looking for gifts for partners, children, friends or family members, you will definitely be inspired by our wonderful guide. On behalf of the Luxgifts team I would like to wish all our reader a very Merry Christmas and a fantastic 2014. Funky Giraffe have a fabulous range of Christmas bibs for your loved ones at Christmas. 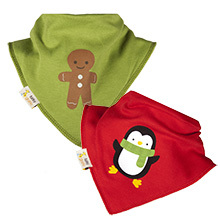 Their funky designs include spotty Christmas stockings, snowy penguins, rejoicing reindeer and cool Christmas trees. Funky Giraffe also sell a wide selection of funky baby clothes including dribble bibs, bandana bibs, rompers, hats, socks, moccasins, t-shirts and dresses. All garments are at affordable prices, making them ideal Christmas gifts. Prices start from £2. Funky Giraffe only use fabric made to OEKO-TEX standard 100 for baby garments. They print their own items and only use water based inks that are completely non toxic. Perfect for little ones. 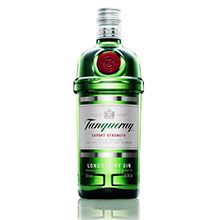 Why not toast with Tanqueray Dry Gin this Christmas? This wonderful drink is made with the finest botanicals including juniper, coriander, angelica and liquorice. With a four step distillation process involved for an extra smooth taste, Tanqueray Dry Gin has an elegance that sets it apart from the rest. It has a flavour that shines in sophisticated cocktails and vibrant gin and tonics. Tanqueray Dry Gin is a luxurious gift for a loved one who appreciates excellence and the highest quality spirit. Tanqueray London Dry Gin comes in a striking green bottle and is available from Waitrose. The RRP is £26.60 (1L). Mclaggan Smith Mugs are based in Scotland and screen print and decorate fabulous mugs which they dispatch all over the UK. They also supply customers throughout Europe and further a field. McLaggan Smith mugs work with an eclectic range of Britain’s most popular designers including Madeleine Floyd, Quentin Blake, Dee Hardwicke, Edward Monkton, Roderick Field and Simon Drew. They also have new additions to their favourite ranges including Orla Kiely and Brora. 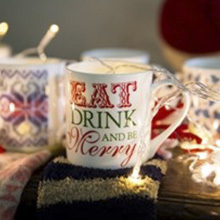 They have a wide range of mugs and have mugs for every occasion such as Christmas, Birthdays, Easter. Most of the designs can be personalised on the handle making an extra special gift for loved ones. The mugs start from £9.00 and can be personalised for an extra £5.00, making them unique and affordable gifts – perfect stocking fillers or Secret Santa! The full range of mugs can be seen at http://www.msmugs.com with prices starting from £9. This adorable festive book is brought to you by Penwizard in partnership with Ladybird books. It is the latest edition the personalised Peppa Pig collection. A child can join their favourite character, Peppa Pig, in this personalised Christmas story, in which they help Peppa and her family prepare for Christmas and then actually meet Father Christmas. When ordering the book, you are asked some simple questions about the child who will receive the gift. You need to add their first name, surname and choose their hair colour and style, skin tone and eye colour. The illustrations in the book will then look like the little recipient. There is also space to write a personal message to the child and there is also an option to include their wished for present from Father Christmas. This makes the book even more special for the child as it is customised just for them. 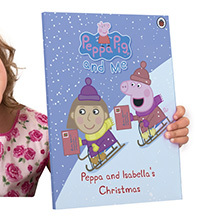 The personalised Peppa Pig book is the ideal gift for any Peppa Pig fan and would make a great present this Christmas. The RRP is £14.99 and is available from www.www.penwizard.co.uk. 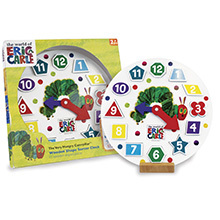 Early Learning Centre have some fabulous gifts for children for under £30. One of my favourite toys is the Sing Along Star Microphone. 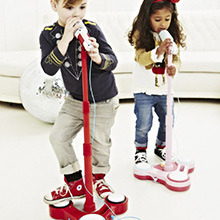 Any little superstar will love singing into this fun and colourful microphone. They are able to sing along to their favourite songs as you can connect your MP3 player to the microphone. The record to sing play feature will record a short sentence and you can hear it played back in the style of three classic tunes, or you can replay it to your friends normally. The microphone has ten demo songs to sing along to, an echo effect voice changer and flashing lights. 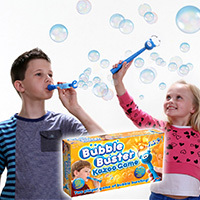 This gift is perfect for stimulating your little one’s senses and will keep them enthralled for hours. The microphone requires 4 x AA batteries and comes in red and pink. Available from www.elc.co.uk and the RRP is £20.00. Brilliant stocking fillers for children. Lights, sounds, speed and enhanced technology make Wicked Vision toys fun for all the family. Wicked Vision’s Wicked Socker Boppers are inflatable boxing pillows that are perfect for active play indoors. 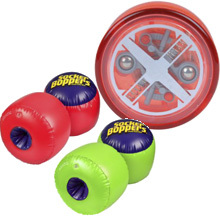 Socker Boppers are an ideal gift and are an easy way to engage the whole family in some serious fun. You just slip your hands in these inflatable gloves and sock ‘n’ bop away. They’re a great way for children to burn off all that extra energy in the run up to Christmas. The Socker Boppers are made of heavy duty gauge vinyl for rugged durability. The RRP is £9.99. Wicked Vision have also created the Reflex Yo-yo. This Yoyo uses clever “auto-return” technology to automatically bring the yo-yo back to your hand once it reaches the right spin speed. It is great fun and a brilliant gift for Christmas. The RRP is £9.99. Wicked Vision toys are available from www.wickedvision.co.uk. Another wonderful stocking filler for children at Christmas. Hama Beads have a wide range of sets and accessories for children aged 3 +, allowing them to be as creative as they like. 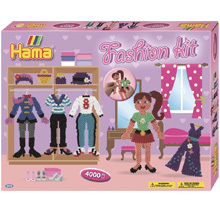 Hama is a wonderful brand, famous for its high quality and has the ability to provide hours of fun. Children can use the Hama beads to explore their creative sides and design and create fantastic creations. They can use the reusable peg boards to design all their pictures and patterns. The designs can then be ironed so the beads join together and make a permanent creation. Hama have three sizes of beads available. There are maxi beads for children aged 3 – 4. The maxi beads have a 10mm diameter and are specifically designed for pre-school children. Midi beads are also available and these have a 5mm diameter. These are suitable for children aged 5 + and are usually the size found in most shops. Mini beads are suitable for children aged 10 + and have a 2.5mm diameter. Hama have a huge range of sets available so you are guaranteed to find the perfect set to entertain all children, tapping into their interests. Sets include Disney gift sets, starter packs, pony sets, pirate sets, bracelet making, animal sets, racing car sets and seasonal Christmas sets. To see the full range of gift sets available go to www.hamabeads.com. Prices start from £2.50. A perfect gift for anyone who owns a tablet or smartphone. Goo.ey is the ingenious new accessory that grips to smooth surfaces, so that you can use your device ‘hands free’. This amazing, advanced material does not feel sticky, but still holds fast to flat, glossy surfaces. It can be used in the home, office, gym or car. Goo.ey can be stuck to your tablet or smartphone, so you can place the device in a convenient place and it will stay put. Using goo.ey makes apps like Facetime, iTunes and Googlemaps easier to use. Goo.ey also gives you far more freedom to use the inbuilt camera for ‘selfie’ photos and videos. Goo.ey is smooth to the touch and won’t stick to your hands or pocket. It will however, adhere securely with suction to flat glass, mirror, ceramic, vinyl, laminate and metal surfaces. Goo.ey is even slim enough to use with your existing case or bumper. Amazingly, goo.ey is removable, reusable and won’t leave a residue. Goo.ey is compatible with the iPhone 4 & 5, Samsung Galaxy S2, S3 & S4, Samsung Galaxy Note 2, iPad Mini and iPad (all generations). The RRP is £15.00 for the smartphones, £16.00 for the iPad Mini and Note 2 and £18.00 for the iPad. Goo.ey is available from www.gooeyskins.com. This is the perfect gift for someone who wants to capture all their amazing life adventures on camera. The Breffo Adventure Camera Kit allows you to securely attach your action camera to your bike, board, body or, to be honest, virtually anything. 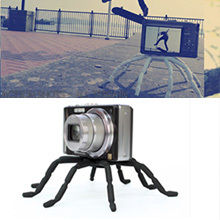 The Camera Octopod features multiple pliable legs, which wrap and attach to many different types of surfaces and can be twisted tight to secure your device is in place. It is also waterproof and durable. The Camera Tripod is the perfect accessory for all extreme (and not so extreme) sports and activities. Best of all, it is extremely simple to use as you simply untwist & fold the Camera Tripod flat for easy and minimal storage. The Breffo Adventure camera kit is available in black or white and the RRP is £20. This fabulous camera kit is available from www.breffo.com. Games are wonderful gifts for all the family and Paul Lamond has an excellent range for Christmas. 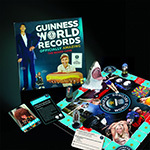 Included in the range are: Guinness World Records – The Board Game This is a fantastic game where players can test their knowledge with hundreds of trivia questions and Who am I cards. Players can compete in Guinness World Records challenges and attempt to break an actual Guinness World Records title. The RRP is £19.95. 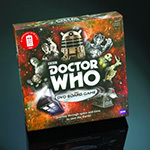 Doctor Who DVD Board Game The world’s best loved Time Lord stars in this new DVD game featuring Doctor Who fun for fans of all ages. As the perfect gift to celebrate Doctor Who’s 50th anniversary, this game features clips from the epic TV series. Players journey through space and time with all 11 doctors and companions, confront the most fearsome monsters, put their Doctor Who knowledge to the test and save the Earth from destruction. The RRP is £24.95. Kerfuffle This dice-tastic strategy game is laugh out loud fun for all the family! 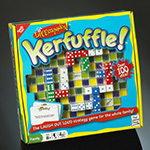 Kerfuffle features more than 100 dice and players must roll the dice and select cards to determine their moves. Make pairs, triples, quadruplets or even make straights with the dice by lining up the dice with the same value side together. 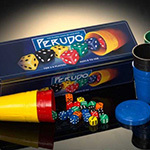 The RRP is £19.95 Perudo As an exciting game of guesswork, bluff and luck, Perudo is a version of liar dice which combines skill, laughter and deception – and is perfect for post-dinner entertainment. Perudo is for 2 – 6 players aged eight upwards. The RRP is £17.95 All these fabulous Paul Lamond games are available at www.paul-lamond.com. Paul Lamond also has a fantastic range of craft activities which make fabulous gifts this Christmas. Paul Lamond Games has introduced the new ‘Make Your Own Puppet’ kits which contain everything you need to make a puppet. There are six puppet sets in this range featuring a Ballerina, Dinosaur, Giraffe, Horse, Fairy Princess and Knight. They are suitable from age 6 upwards. The RRP is £14.95. Also available are fabulous Chimp and Zee craft and activity sets. The sets include Pretty Ponies, On Safari and Make Over Friends. The activities help children have loads of fun whilst learning a new craft. They are fabulous stocking fillers. The RRP is £9.95. A Colour Wash-Play activity cloth also makes a fabulous Christmas gift. This huge double-sided pre-printed tablecloth is covered in pictures to colour, mazes,word finds and dot-to-dots. Included are five washable markers. This giant table cloth can be used time and time again as it is fully washable. Suitable for ages six and up. The RRP is £19.95. All these craft acticvites are available at www.paul-lamond.com. For chocolate lovers, Green and Black’s have a brand new wonderful gift range for Christmas. The Green and Black’s Organic Connoisseur Collection is a selection of their favourite chocolate bars alongside tasting notes. The notes outline which dessert wine, port, sherry or spirit compliments each bar best. To help guide the pairing experience, the collection is equipped with its own tasting wheel. In addition to the new Connoisseur Collection, Green and Black’s have all their returning favourites within the gifting range that offer the perfect present over Christmas. The Green and Black’s Tasting Collection is a great gift for loved ones who are eager to learn more about chocolate, while The Green and Black’s Organic Classic Collection make fabulous thank you presents. The Green and Black’s Gifts are available from www.greenandblacksdirect.com. The RRP is between £2.99 and £17.99. Snugbug have a special range of hand-made hats, headbands, scarves and wrist warmers that make stylish Christmas presents. All these accessories provide exceptional warmth and all knitted items are made from 100% New Zealand wool. 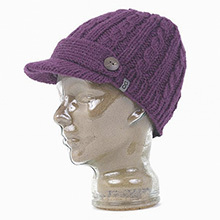 The accessories available include beanies, peaked hats, trappers, fleece hats earflaps, scarves and winter warmers. As there is such a wide range of products, you will definitely find something suitable for any loved one. All sungbug products are made in Nepal and the UK using the finest quality wool and fleece available. The hats are environmentally sustainable and produced under excellent working conditions. The gorgeous range of snugbug accessories is available from www.snug-bug.co.uk. The RRP is between £14 – £35. 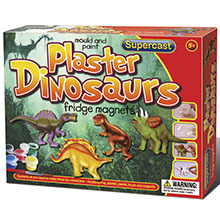 This fabulous range of plastic moulding sets from Supercast are perfect for Christmas gifts or stocking fillers. The Supercast brand has been around for years and any children of the 1990s will recognise this brand with the fondest of memories as the only name in ‘make your own’ models. Now, Studio Anne Carlton, the world’s leading brand of decorative chess sets and traditional games, has acquired SUPERCAST and has relaunched the brand for children and adults of all ages for the 21st Century. The collection consists of the following, Forever Friends £4.99, Farmyard Animals £4.99, Fairies £4.99, Horses £7.99, Dinosaurs £7.99, Jewellery Box £7.99 and the Alphabet £7.99. These sets are wonderful gifts to entertain children, allowing them to explore their creative sides. These sets are available from www.sac-games.com. A wonderful gift for keen gardeners. This X-Hose has been shortlisted for the RHS Chelsea Flower Show Product of the Year 2013. It is a super lightweight, expandable garden hose that will never twist, kink or tangle. What makes this hose so special is that it has a high-flow spray and will expand up to three times its length when filled with water. This makes the X-Hose extremely easy to store when not in use as it has a very compact design. It comes with universal fittings which is brilliant as you can use your existing accessories with this hose. 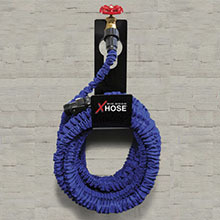 X-Hose do have their own accessories available to buy including a jet wash attachment, a hose holder and an eight speed nozzle. The X-Hose is available from national horticulture charity, www.perennial.org.uk, in three lengths (fully expanded) 25ft, 50ft, 75ft. Prices start from £22.99 for the X-Hose and £14.99 for the accessories. Pür Minerals is brilliant for quick, easy, mineral-based makeup and skincare products. Pur minerals have a wide range of skincare and make up products which would make fab Christmas presents. 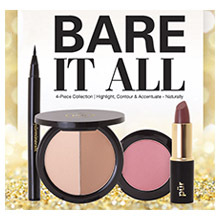 Their make up kits are gorgeous and a 5-piece Start Now kit, the Bare Essentials kit and the Show Off Collection. Pur Minerals make up is easy to apply and has a wide range of lovely colours. All the make up is long lasting so your make up should look fresh for most of the day. Whether you are looking for luminous eye shadow colours to brilliant shine lip glosses to face powders that bronze, bright and blush, Pur minerals have exactly what you will need. Pur minerals make up and skincare is available from www.marksandspencer.com. Prices start from £12.00. Jacob’s Creek is one of the UK’s most well-known wine brands and to celebrate Christmas this year Jacob’s Creek are releasing an extra special gift pack. This pack will make a perfect present to give to friends and family to enjoy over the festive period. Jacob’s Creek range of Reserve wines are a great gift for wine lovers who want to try something a little bit special this year. For those who prefer red wine, Jacob’s Creek offers a delectable Shiraz, that pairs perfectly with hard cheeses – great for a post-Christmas dinner cheese course. For those who enjoy white wine, then the 2011 Chardonnay is ideal to enjoy with a slice or two of turkey. Also available in the range are a Pinot Noir, Cabernet Sauvignon, Sauvignon Blanc and Riesling. 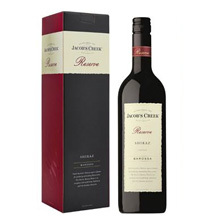 Jacob’s Creek Reserves are available from www.jacobscreek.co.uk The RRP is £10.29. Campo Viejo Gran Reserva have released a wonderful Christmas Gift pack that will make an ideal present for family and friends. Campo Viejo Gran Reserva is a perfect wine for very special occasions. This delicious Rioja is aged for 24 months in French oak barrels, before spending 36 months in the bottle cellar. Its ruby red colour is tinged with gold, and its ripe red berry flavour is full of deep fruits with hints of spices at the end. It is presented in an attractive gift tin that make an ideal Christmas wine gift. 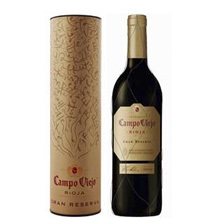 Campo Viejo Gran Reserva is available from www.campoviejowines.co.uk The RRP is £12. 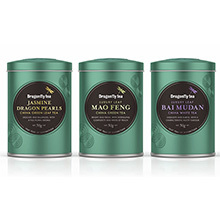 Dragonfly luxury teas make ideal stocking fillers for tea lovers. Dragonfly Tea’s six beautiful iridescent tea caddies contain 50 grams of the finest, luxury leaf teas from India and China. The exquisite iridescent tea caddies have been beautifully designed to represent the qualities of the dragonfly and all it symbolises in purity, vitality and harmony. The six flavours are: • Mao Feng- a bright and fresh china green tea, with intriguing complexity and hints of peach. • Assam – a robust and full – bodied black tea from India’s fertile Assam region. • Jasmine Dragon Pearls – a delicate and balanced green leaf tea from China. • Bai Mudan – an authentic, rare white tea of exceptional quality from the Fujian Province of China. • Lapsang Souchong – a black tea that is renowned for its deliciously bold flavour with a tarry, but completely smooth smokiness. • Darjeeling – an elegant, yet opulent black tea from one of the most revered gardens at the foothills of the Himalayas. Dragonfly teas are of the highest quality so the leaves can be infused twice by adding more hot water after the first infusion. The depth of the second cup will definitely surprise you. Dragonfly luxury teas are wonderful Christmas gifts and are available from independent health food stores, Waitrose and Ocado, and direct from www.dragonfly-teas.com. The RRP for a 50g tea caddy is £5.99. 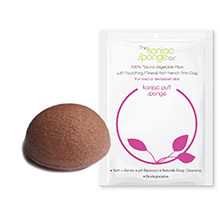 The Konjac sponge is a space saving skin care marvel that cleanses skin beautifully. You simply immerse it in water and wipe over your face and body to remove all traces of dirt or makeup without the need for any additional cleansers. The sponge is then rinsed after use and then hung to dry using the attached string. Once it is dry, the sponge will return to its rock hard form. There are a wide range of sponges available including the Sports Sponge for sports lovers, the Bamboo Charcoal sponge for oily skin and the French Clay Facial sponge for that bit of extra luxury. The RRP for Konjac sponges are between £6.99 and £11.99 so they made ideal stocking fillers for him, her, children, sports lovers and eco-warriors. You can view the full range of sponges at www.konjacspongecompany.com. A wonderful gift for the modern man. Tru Virtu’s oyster wallets are ergonomically designed and crafted from tough aluminium and are the ultimate in pocket sized, cutting edge style. These fabulous modern wallets ensure there is space for everything you need, including cards, notes, coins and tickets. The wallets come in a wide range of colours so you will definitely find the right colour to suit the man you are buying for. The colours available are White Night, Grey Oyster, Coffee to Go, Black Magic, Silver Arrow, Green Hunt, Blue Ocean, Red Pepper, Orange Blossom, Purple Rain and Taupe. These Tru Virtu’s Oyster wallets offer a lightweight and practical alternative to traditional wallets and are available from www.stonemarketing.com. The RRP is £29.95. 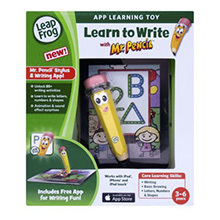 Leapfrog’s Mr Pencil toy is a brilliant toy to get children to start writing. It includes a pencil stylus and a free downloadable writing app that can turn your iPad into the ultimate ‘Learn to Write’ tool. Children can use the easy grip stylus to enter a world of handwriting adventure. There are 85 writing activities that children can complete, including learning to write upper and lower case letters, writing numbers 1 to 20 and drawing shapes. The stylus and app works with an iPad, iPhone and iPod touch and is a brilliant toy to encourage early writing. The Mr Pencil toy is a fantastic gift for Christmas and children will love using the fun pencil stylus and app. The Leapfrog Mr Pencil Toy is available from www.leapfrogstore.co.uk. The RRP is £14.99. The enchanting characters for the book ‘Guess how much I love you’ are perfect Christmas gifts for babies. 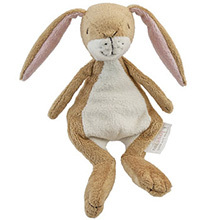 The cute and cuddly Large Nutbrown Hare Plush and the Little Nutbrown Hare Rattle plush are irresistibly soft and are the ideal companions for bedtime stories and anytime cuddles. The Large Nutbrown Hare is 22cm and the RRP is £12.99. The Little Nutbrown Hare Rattle is 9cm and the RRP is £7.99. The Little Nutbrown Hare Comfort Blanket is a cute tactile gift that features a plush Little Nutbrown Hare character holding a soft comfort blanket which is perfect for soothing a baby before bedtime. The RRP is £10.99. Also available is a cute plush Activity Spiral that features a hanging Little Nutbrown Hare, star and moon, that will keep a baby entertained whilst out and about in the pram or car seat, or when at home in the cot. The RRP is £16.99. If you are looking for a gift to keep those precious baby photos from the early weeks and months, then the beautifully illustrated Guess How Much I Love You Ceramic Photo Frame is the ideal gift. The RRP is £6.99. All these wonderful gifts are available from www.rainbowdesigns.co.uk. This sturdy case and free downloadable creativity app turns your iPhone or iPod touch into a child friendly camera. The brilliant case protects both your device and your data. The camera case is lovely, bright and colourful which will appeal to any young child. The case unlocks 6 creativity modes. Children can take picture perfect shots on the camera and then edit them to create works of art. They can also dress the photos up with silly designs such as adding funny eyes, hair and mouths. Children can also create 3 photo books which help them learn about colours, the alphabet and different emotions. There are also games available to play where children catch things and match flying creatures to different colours. The Creativity camera is a good introduction to taking photos and editing them. A wonderful stocking filler for Christmas. 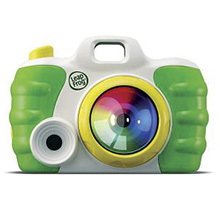 The Creativity Camera is available from www.leapfrog.co.uk and the RRP is £14.99. Patron Silver is available from Sainsbury’s. If you are looking for a celebratory drink this Christmas, Patron Silver is ideal. Patron Silver Tequila is the perfect ultra-premium white spirit. It is handmade in small batches to be smooth, soft and easily mixable. Patron Silver has fresh agave aromas and hints of citrus making it a favourite of tequila connoisseurs. It mixes perfectly with any cocktails or you can drink it on its own to enjoy and savour its wonderful taste. 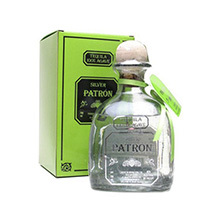 Patron Silver tequila is presented in an attractive clear bottle. Each bottle is individually crafted by a glass artisan from recycled glass and is hand numbered. Patrón Silver is super stylish with a strong celebrity following with the likes of Rihanna, Lady Gaga, Nicki Minaj and Nicole Sherzinger all being big fans. The Patrón Silver 35cl half bottle has just come out and is the perfect gift size and would make a great stocking filler for Christmas. Patron Silver is available from Sainsbury’s. The RRP for the 35cl bottle is £24.00. SnapBoxUK is an innovative digital photography service that allows users to use images from their mobile devices and digital cameras to create high-quality canvas prints quickly and at affordable prices. SnapBoxUK is very easy to use. You can simply email them the image you would like created into a canvas or you can upload your image from your computer, mobile device or even from facebook. Once the image is uploaded, you will see a preview of the image which you can then edit. Once the image is edited you choose the size you would like and then proceed to the checkout. It is a very simple process making it a delight to use. Once the image is created onto a canvas, you will receive a gorgeous picture capturing your wonderful memories. 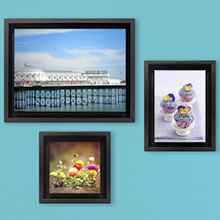 SnapBoxUK canvases are perfect Christmas presents that will be treasured for years to come. Canvases are available from www.snapboxuk.com. Prices start from £13.99 for 5 x 5 inches. Visit www.oxouk.com to see the full range. If you are searching for a special gift for someone who loves to work their culinary magic in the kitchen, OXO is the perfect place to look. OXO have a wide range of gifts for serious foodies. 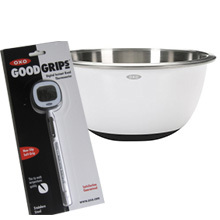 Ideal for making Christmas cakes, OXO has a gorgeous white stainless steel mixing bowl. The stainless steel inside won’t take on colours or smells of other dishes making it an ideal mixing bowl. It also has a rubber base that ensures it will not move around on the counter, no matter how hard you mix. The RRP is £15.00. For those who love gadgets in the kitchen, OXO have a fabulous digital thermometer available. This thermometer displays the internal cooking temperature inside your bird and can switch easily to Fahrenheit and Celsius. The RRP is £15.50. OXO also have a wonderful Chef’s Mandolin in White. This is guaranteed to transform the way you cook forever. It is built to cut, slice and julienne a range of foods. It is the ideal tool to create culinary sensations quickly and easily. The RRP is £60.00 To see the full range of OXO products visit www.oxouk.com. Visit www.prestat.co.uk to see the full range. Prestat chocolatiers have a wonderful range of Christmas gifts available for 2013. Prestat are well known for creating delectable chocolates and this Christmas they have a wide range of treats to enjoy. Prestat’s Advent Calendar is a wonderful way to count down to Christmas. The box contains 24 divine and entirely alcohol-free chocolates, one for every December day leading up to Christmas. Prestat also has a lovely range of Christmas Baubles filled with delectable chocolates including London Gin Truffles, Praline Truffles, Marc de Champagne Truffles and Sea Salt Caramel Truffles. Prestat’s Stocking Boxes also include these wonderful truffles in beautifully presented stocking boxes. If you are looking for a large box of Prestat chocolates then their Christmas Chocolate Boxes are perfect. An assortment of Prestat’s delicious chocolates are presented in a beautiful red or pink box. 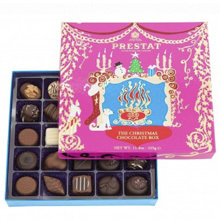 Prestat have a lovely range of gifts for Christmas available at www.prestat.co.uk. The RRPs range from £6.50 – £30.00. Raisthorpe Manor lovingly produces an award-winning range of gins and liqueurs in the heart of the Yorkshire Wolds, combining only the finest, locally sourced ingredients with traditional family recipes, to create distinct, natural flavours. Raisthorpe Manor have launched a special edition Shimmer Vodka which comes in two fabulous flavours and will make the perfect Christmas gift. Raisthorpe Manor Fine Foods’ new Shimmering Vodka Liqueurs have been launched especially for Christmas. The flavours available are Blood Orange and Toffee Caramel. These wonderful flavours are mixed with edible gold glitter to make dazzling drinks for get-togethers or glitzy gifts for dinner parties during the festive season. 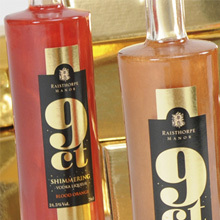 These fabulous vodka liqueurs are available from www.raisthorpemanor.com. The RRP is £22.95. Visit www.nicolas-feuillatte.com/en to see the full range. Champagne Nicolas Feuillatte has launched a newly themed Champagne and ice bucket that is a must have for the chic Champagne connoisseur. Nicolas Feuillatte captures the true essence of Bohemia inspired by Spanish artist Alicia Paz with vibrant colours, patterns and modern shapes splashed over the ice bucket. 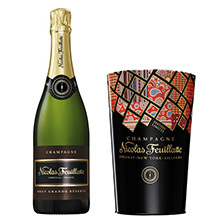 Paired with this Bohemian style ice bucket, champagne lovers can enjoy Nicolas Feuillatte’s delicate bubbles. This gift is ideal for the festive season and is a wonderful way to celebrate this Christmas. The Brut Grande Reserve is exclusive for 2013 and offers a unique but traditional gift this Christmas. You can toast to 2014 in style with this unique and bubbly Nicolas Feuillatte Brut Grande Reserve Champagne. The RRP is £30 and is available to buy in Sainsbury’s. A perfect choice of drink to celebrate the festive season is the special edition Pimm’s Blackberry and Elderflower. This is a cheeky twist on the iconic summer favourite and blends the quintessential British flavours of fruity blackberries and fragrant elderflower. This is the first ever flavoured infusion from Pimm’s and is perfect as a festive tipple. It is absolutely gorgeous served mixed with lashings of lemonade and topped with fresh blackberries. It is a very refreshing drink, and like Pimm’s Original, is a wonderful drink to share with friends. 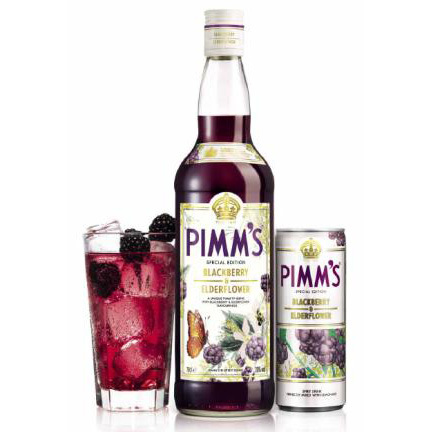 Pimm’s Blackberry and Elderflower is available nationwide. The RRP is £15.49 for 70cl. Ireland’s favourite luxury chocolatier, Butlers Chocolates have launched a luxurious festive collection this Christmas. 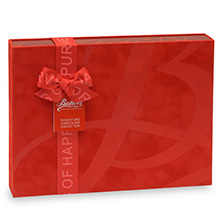 There is a Butlers chocolate gift for everyone, including gift boxes for her and the perfect assortment for him. 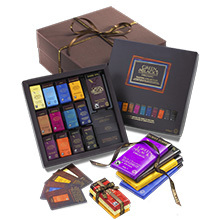 The Butlers collection includes The Butlers Red Velvet Premium Chocolate Collection. This stunning collection of 14 assorted chocolate truffles and pralines is beautifully presented in a red velvet presentation box. The selection features; Crispy Praline, Almond Café, Chocolate Trio, Gianduja, Chocolate Flake, Walnut Truffle, Latte, Almond Praline, Almond Crunch, Vanilla, 70% Truffle, Hazelnut Truffle, Mandarin Heart, Hazelnut Caramel, White Chocolate Flake, Hazelnut Slice, Raspberry Sorbet and Double Chocolate Mousse. The RRP is £12.00 The Butlers Gold Ballotin is also available. This gorgeous collection of 12 chocolate truffles and pralines is presented in a luxurious gold gift-wrap. The assortment comprises of Butter Praline, Walnut Truffle, Orange Crunch, Double Chocolate, Chocolate Trio, Hazelnut Caramel, Vanilla, Hazelnut Praline, Milk Truffle, Espresso, Mandarin Heart and Lemon Sorbet. The RRP is £6.00. To celebrate the festive season, the Butlers Marc de Champagne Flavoured Chocolate Truffles are perfect. This delicious collection of 15 creamy Milk Chocolate Truffles is flavoured with Marc de Champagne. The RRP is £7.00 Butlers Chocolates are available from Waitrose. Logitech’s Multimedia Speaker Z50 is a small speaker with a loud sound. This small speaker is deceptively loud as it produces 10W of peak power. The Z50 is portable and compact which gives users the freedom to listen to music all around their home. It is also compatible with numerous devices such as phones, tablets and laptops. Designed for plug and play simplicity, users connect to their chosen device and then they can listen to their favourite multimedia with ease. Another fantastic feature is that there is no need to charge the Z50 as the mini speaker uses an AC power supply. 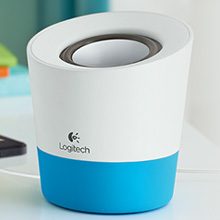 The Logitech Multimedia Speaker Z50 would make a fabulous stocking filler for anyone who loves listening to music and wants the option to listen to their favourite songs anywhere around their home. The Logitech Z50 is available in three eye-catching colours, Pink, Grey, and Blue. The RRP is £17.99 and it is available from www.logitech.com. Yankee Candle have a gorgeous range of scents for Christmas. To create a warm, cosy, welcoming home for all your friends and family over the festive season, Yankee candles are absolutely ideal. Yankee Candle have a lovely range of fragrances available. These include: Christmas Eve – a mix of traditional holiday scents of a warm hearth, sugared plums and candied fruit Christmas Cookie – a wonderful scent of buttery rich, vanilla scented, holiday sugar cookies Snowflake Cookie – a new Christmas tradition that is sure to charm: perfectly pretty holiday cookies, deliciously decorated with sugary pink icing. A wide range of other fragrances are also available. The gorgeous candles are available in many sizes from candle tarts to large glass jars. The glass jars look extremely elegant and stylish and are convenient and easy to use. They come in three sizes: small, medium and large. Yankee Candle states that the small jar provides 25 to 40 hours of true fragrance enjoyment, the medium jar provides 65 to 90 hours and the large jar provides 110 to 150 hours. So you’ll be able to enjoy Yankee Candle fragrances in your home for hours. The Christmas candles are available from www.yankeecandle.co.uk. The RRP for the small jar is £8.39. The RRP for the medium jar is £16.99 The RRP for the large jar is £19.99 Gift Sets start from £19.99. Badge It! by Bandai is a wonderful gift to keep children entertained for hours. Children can make their own professional looking metal badges using this fantastic device. All they have to do is choose an image of their favourite popstar, pet, friend or anything else they think is cool and use this image to make their own badge. The badges are easy to make and are great because they can be completely customised to suit the person receiving the badge. Badge It! 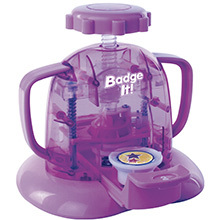 is an extremely fun toy and children will love creating their own badges for themselves, family and friends. The Badge It! starter set contains the classic Badge It! badge maker, paper pictures and templates to create your own 15 x 3 cm diameter round badges. Refill packs are also sold separately. Badge It! is available from www.bandai.co.uk. The RRP is £20.00. To enjoy the festive season, Smirnoff has launched a new luxurious Gold Collection with Cinnamon Flavoured Liqueur. This is a mouth-watering blend of Smirnoff No.21 premium vodka with a hint of natural cinnamon flavouring, garnished with real edible 23 carat gold leaf. 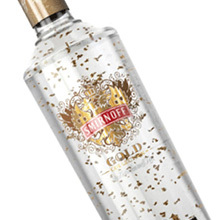 This new stunning Smirnoff Gold is set to add the Midas touch to your drink with its beautifully suspended gold leaf flakes. It is the perfect drink to celebrate the festive season. To coincide with the launch of the new gold, Smirnoff has also developed an exciting and delicious new serve, Smirnoff Apple Bite. This is a blend of vodka, lemonade and apple juice. Apple Bite can be enjoyed with any vodka from the Smirnoff range, including Smirnoff Gold. Smirnoff Gold is available from www.smirnoff.com and most major supermarkets. The RRP is £21.95 for 70cl. For a wonderfully personalised Christmas gift, Cewe photobooks are perfect. All wonderful life moments can be kept in a single book, and viewed as many times as wanted with extreme ease. Photobooks are wonderful gifts that can be treasured for years to come as all precious moments and memories can be captured in a beautiful book. Home videos can also be captured in Cewe photobooks as QR codes can be placed on pages and once scanned by a mobile phone, will play the video onto your phone. Cewe is extremely simple to use and allows you to create a truly memorable Christmas gift for a loved one. There are a wide range of sizes and themes available from Cewe so there is sure to be something for every taste and every budget. Cewe photobooks make a beautiful gift at Christmas and are available from www.cewe-photobook.co.uk. The RRP start from £6.99 for a pocket book. 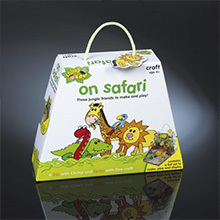 Tyrrell Katz’s fun yet functional products make perfect Christmas gifts for school aged children. All designs are extremely child friendly and children will definitely love receiving these presents. Tyrrell Katz have fabulous Kit Bags available which are made from durable rip stop fabric. These Kit Bags are ideal to use as a school PE bag, swimming, sports or ballet bag. Each Kit Bag has a draw string closure with a zip pocket on the front. These bags would also be ideal for pre-school children to take to nursery. The Kit Bags are available in ten designs; Working Wheels, Knights, Ballet, Princess, Farmyard, Swimming, Dinosaurs, Pirate, Horse Riding and the new Secret Garden. The RRP is £15.95. Tyrell Katz also have a wonderful range of large towels available that would make great Christmas gifts. Made from luxurious 100% cotton, these towels are perfect to use on the beach, at the pool or in the bathroom at home. The towels are available in eight fantastic designs that co-ordinate with the kit-bags. You can choose from Swimming, Horse Riding, Princess, Dinosaurs, Working Wheels, Pirates, Knights and Ballet. The RRP for the towels are £17.95. The Kit bags and Towels are available from www.tyrrellkatz.co.uk. There is currently free delivery on all orders over £50. Alma de Cuba is a wonderful gift for coffee lovers. It is a uniquely smooth but strong, rich coffee with a clean taste and medium body. 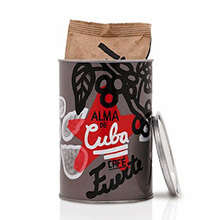 Alma de Cuba is presented in beautifully designed tins and bags, whose bold graphics channel the spirit of Cuban art. This magnificent coffee is grown in the rich, fertile soils of the mountains overlooking the Caribbean- one of the best coffee growing climates anywhere in the world. Each young coffee plant is then tended to each day by the mountain farmers who carefully harvest the precious cherries, ensuring each one is kept in perfect condition. These superb coffee beans are then batch roasted in small quantities and shipped to order. Alma de Cuba coffee is available excusively at www.almacuba.com The RRP for a 250g tin of beans or ground coffee is £15. Join in and Play Tatty Puppy is an innovative toy from the Tatty Teddy & My Blue Nose Friends range. You simply pat or stroke Tatty Puppy and listen to him bark, yap, pant or whimper. 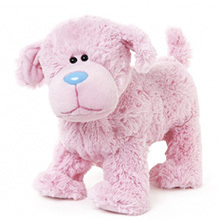 The soft, pink puppy also sits, stretches, wags his tail and lifts his ears, just like a real puppy! Join in and Play Tatty Puppy also interacts with a free downloadable app, available on Apple iPhone, iPad, iPod Touch and Android. The cute character responds to the free Blue Nose Friends – Tatty Puppy app with a range of adorable puppy sounds and movements. The Join in and Play Tatty Puppy requires 3xAA batteries and is suitable for children aged 3 years+. The Angela Flanders Christmas candle for Mr Severs is the perfect gift to infuse any home with a gorgeous, warm fragrance. This wonderful fragrance is inspired by a historical house in Spitalfields, an 18th Century house in London’s old East End. It is also inspired by the seasonal displays of Christmas cakes, sweet meats, jellies, fruits and their beautiful accompanying aromas of orange, clove and cinnamon. When lit the Mr Severs candle emits its gentle wave of scent, transporting essences of sweet orange, bergamot, amber, spices and woods throughout the home. Any home infused with this spirit of Christmas is both warm and welcoming. This essence is a wonderful way to enjoy the warm, cosy nights indoors during the wintry season. The presentation of the candle is also very elegant and a stylish. The beautiful candle is surrounded by gold tissue paper and sits in a gorgeous black box, with the Angela Flanders motif in gold on the outside. The Mr Severs candle is a wonderful gift for Christmas this year and the scent is perfect for the festive season. 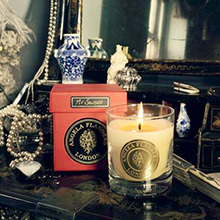 The candle is available from www.angelaflanders-perfumer.com. The RRP is £40. Throughout December 2013 £4 from each candle sold will be made to The Spitalfields Trust towards the upkeep of this historic house. If you are looking for an exceptional gift for Christmas, take a look at the incredibly rare Bat Coffee by Sea Island Coffee. This wonderful Bat Coffee comes from the Coffea Diversa Garden in Costa Rica. Sea Island Coffee state that is the first time, as far as they know, that Bat Coffee has been offered anywhere in the world and that this coffee is so unique and rare they feel very fortunate to have it. This therefore makes this coffee a truly special gift. The Bat Coffee has a remarkably fruity and floral aroma with a very delicate acidity. With the Bats only choosing to eat the meat of the ripest cherries, the end result is the top crop of coffee beans. 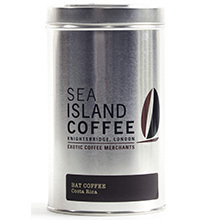 Bat Coffee is available from www.seaislandcoffee.com and the RRP is £34. Ice Cognac by ABK6 offers consumers a new, lively tasting experience: Cognac on Ice. Ice Cognac by ABK6 is part of a very renowned range of premium Cognac, and will be greatly appreciated by both connoisseurs and those new to cognac. Ice Cognac by ABK6 is absolutely delicious. It starts soft and smooth and then marries suave and subtle notes of vanilla and stone fruits. It then evolves towards fresh aromas such as lemon sorbet and mint. Ice Cognac by ABK6 has been specifically blended to be savoured “on the rocks” and makes an ideal Christmas gift. 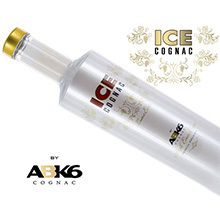 Ice Cognac by ABK6 is available from www.drinks21.com and its RRP is £35.00. This Coco Chocolate pot is the epitome of indulgence. La Cafetiere have created a wonderful stove top chocolate pot that makes an incredibly comforting cup of hot chocolate. All you need is to add some chocolate to some warm milk and then use the very clever frother in the Coco pot which creates a luxurious treat of rich and bubbly hot chocolate. You can also create a delicious creamy milkshake by using cold milk instead of warm milk. 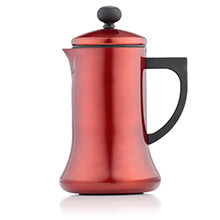 This chocolate pot has an aluminum body with non-stick inner coating and a soft touch handle. It is suitable for all stoves excluding induction and is not recommended for dishwasher use. It makes a brilliant Christmas gift as it is perfect to use on cold, wintry nights. The Coco pot is available in 3 colours; red, (perfect for the Christmas season), cream and silver. The Coco Chocolate Pot is available from www.lacafetiere.com. Its RRP is £45.00. These 24k gold face masks are a beautiful luxurious pampering present for Christmas. 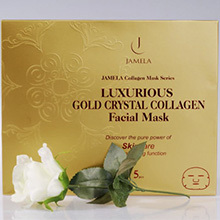 Jamela Skin Care’s 24k Gold Collagen Facial Masks have been proven to increase the skin’s moisture saturation level by up to 92%. These face masks are easy to use and as they are a one piece gel sheet there is no mess, no mixing and no cracking. You simply place the cool refreshing gel mask on your face, smooth it down, and relax while the nutrients do their work. The masks are used for a minimum of 30 minutes. The nutrients are absorbed 10 times faster than a traditional face mask, as the body temperature slowly dissolves the mask. The 100% natural key ingredients of Mineral Gold, Plant Collagen, Hyaluronic Acid and Rose Essence, help in stimulating collagen production, and improving elastin, whilst moisturising, hydrating and nourishing the skin. The moisturised, plumped skin will feel smoother with a radiant glow. These amazing masks are the perfect way to prepare the skin for a big night out, or as an indulgent home spa. You can relax and unwind with a subtle rose fragrance, while the wonder properties of gold improve the complexion. When I used these masks I found my skin was much more hydrated and did look more radiant. These masks are definitely an indulgence and are a unique wonderful gift for Christmas. These facial masks are a part of Jamela’s luxury gold series that also offers masks specifically designed for the neck, eyes, lips and breasts. They are available from www.jamelaskincare.com and www.amazon.co.uk. The RRP is £49.50 for a box of 5 masks. Available from Waitrose, Sainsbury’s, Asda. A soft, elegant whisky that is a perfect way to celebrate the festive season. Glenrothes Select Reserve Malt Whisky stands out for several reasons – from the shape of its bottle (complete with a hand-written signature from the master distiller), a longer-than-usual distillation process and to its dedication to bottling not by age, but by ‘vintage’. This ‘vintage’ approach, means the Glenrothes’ master distiller will only bottle whisky when it has sufficiently matured and reached the peak of its perfection – just like a fine wine. This is in contrast to the vast majority of whiskies which are always bottled at set times – at 8 years, 15 years, 20 years, etc. 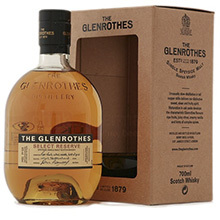 Glenrothes Select Reserve malt whisky is the distillery’s most affordable whisky, yet also typifies the distillery house character of ripe fruits, citrus, vanilla and hints of spice. Glenrothes Select Reserve malt whisky is a superb drink and is a wonderful drink for beginners to whisky drinking or for those who want a change from their usual whisky. It is available from Waitrose, Sainsbury’s, Asda. The RRP is £38.00 for 70cl. FrontCover Cosmetics create ready to wear make-up gift sets inspired by fashion trends. Each wonderful collection is inspired by the catwalk and is contained in a magazine cover style box with photographic instructions on how to create lots of different looks. The new collection contains something for everyone from lipsticks and nail art to subtle shades and Christmas sparkle. I have the ‘New Party Queen’ collection and I absolutely love it. Included in this collection are 5 domed baked pressed eyeshadows, 5 satin press eyeshadows, 2 pigments, 2 glitters, a mascara, an eye pencil, lip gloss, sparkling nail varnish and a double ended applicator. FrontCover collections are available from www.frontcovercosmetics.com. The RRP for the collections are between £18 – £45 so you are certain to find the perfect FrontCover collection to suit your price range. A fabulous gift for Christmas. Demijohn’s Christmas gift selection has been unveiled and there are fabulous liquid gifts for members of the family, colleagues or friends. Demijohn has a varied and delicious range of alcoholic drinks or unusual oils and vinegars which would make lovely Christmas gifts. If you are looking for a gift for friends or young adults, Demijohn have a lovely range of cocktail sets. One delicious set is the Bloody Pirate Set. 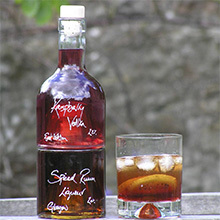 This comprises of a clever stacking set of two impilabile 250ml bottles of Raspberry Vodka and Spiced Rum Liqueur. Once mixed an irresistible, tantalising cocktail is created. The Raspberry Vodka conveys a fruity taste while the Spiced Rum adds a rich caramel treat. The RRP for The Bloody Pirate Set is £29.30. Demijohn also has a lovely gift for foodies. The Oil and Vinegar Carousel is a unique, hand-crafted rack containing 3 x 100ml bottles of Villa Montalbano Extra Virgin Olive Oil, fruity Raspberry Vinegar and unusual Gooseberry Vinegar. The RRP is £35.35. The wonderful Demijohn Brandy Tower is another fabulous gift. This comprises of three beautiful 250ml impilabile stacking bottles containing three popular brandy based liqueurs – Butterscotch Cream Liqueur, Apricot Brandy Liqueur and Somerset Pomona. The RRP is £38.70. 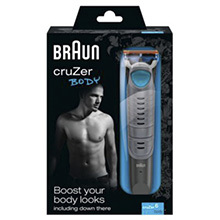 The Braun Cruzer6 Body is the perfect gift for any man who likes to groom themselves and look their very best. The Cruzer6 body is an ideal body hair remover for someone who would like to try a cleaner, fresher look with a shaved chest or groomed armpits. The Cruzer6 body has a brilliant 2-in-1 device that offers a perfect solution to body grooming as you can easily change from trimming to shaving at the touch of a finger. It is suitable for all body areas – from chest and abs to armpits and shoulders. Thanks to its cutting-edge Wet & Dry technology, you can also safely use the Cruzer6 body hair remover under the shower. As the Cruzer6 is specially designed for body grooming it comes with a fine trimming element that features smaller trimming teeth than most regular beard trimmers on the market. This extra fine trimming element minimizes nicks and cuts and it comes with an additional sensitive comb for improved safety when trimming delicate areas like the armpit. The three trimming combs of the body hair remover allow you to choose the perfect length for your body hair (0,6mm, 3mm & 8mm). The Cruzer6 is also equipped with integrated Gillette fusion blades to give a close smooth shave with maximum shaving comfort and minimal skin irritation. The Cruzer6’s unique combination mode that allows you to trim and shave in one stroke, makes any shaving routine that much quicker and hassle-free. Ideal for busy lives. The Cruzer6 is also brilliantly cordless, making shaving that much easier. It also has a special inductive charging stand and once fully charged will last for 50 minutes. The Braun Cruzer6 is a wonderful gift for any man as it makes the grooming process much easier, quicker and more effective. The Braun Cruzer6 is available from www.braun.com/uk. The RRP is £49.99. The Chugginton StackTrack is the perfect Christams gift for any pre-schooler who loves trains and is a big fan of the Cbeebies programme, Chugginton. Chugginton is well known for engaging pre-schoolers, and their parents, through energetic, vibrant and rich storytelling and a strong cast of aspirational characters and engaging locations. The Chugginton StackTrack also engages preschoolers as they can build the track and watch Wilson travel up and down the hills. The Chugginton StackTrack Rescue at Rocky Ridge Mine Deluxe Playset is based on the “Chug Patrol and the Rescue at Rocky Ridge” episode. This playset allows Chuggington fans to recreate the popular adventure. When Koko gets trapped under the rubble in Rocky Ridge Mine, Wilson must come to the rescue. Children can burst through the entry barriers, barrel through the mine shaft, crash through the archways, and avoid the tumbling boulder! This wonderful Chugginton StackTrack is perfect for children who like construction toys and for those who love trains and the Chugginton series. Pushing Wilson, the train, up the hills and watching as he speeds down these hills, is thrilling for any child and will create hours of fun! 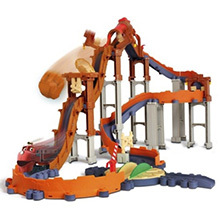 The Chugginton StackTrack Rescue at Rocky Ridge Mine Deluxe Playset is available from www.tomy.co.uk. The RRP is £39.99. This Christmas give someone special a MrSite website and they can start creating their own website from a choice of layouts, it couldn’t be easier. Whether they are completely new to computers or a tech whiz, MrSite’s website-building tools make it easy for anyone to create and launch a professional looking website. Anyone can transform their favourite hobby into a moneymaking scheme with their own online shop. It is very easy to use and has lots of special features to enjoy. The website name and hosting is also included in the box. There are different packages to choose from, from the newbie-friendly Beginner to the fully featured, Seller. 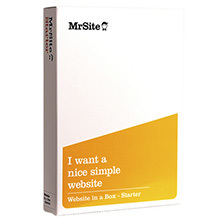 MrSite is available at www.amazon.com, www.mrsite.com, PC World and other good shops. The RRP for the Seller package is available from £15 per month. The Roku LT Media Streamer is a fabulous gift for Christmas as it allows you to enjoy loads of online entertainment and will revolutionise the way you watch TV. The Roku LT Media Streamer delivers HD content to your television. You can be entertained by great movies, TV programmes and series, live sport and music. The Roku LT is very easy to set up. You just need to register it online using your PC or smartphone, plug it in to your TV and connect to your wireless network, so you can stream in minutes. Once it is registered, you don’t need a PC or any other computing or internet device. Roku LT has over 300 channels of entertainment including Netflix and Now TV and has catch up TV with BBC iPlayer and Demand 5 to name a few. 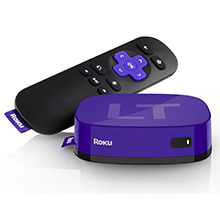 Roku LT is a wonderful gift for Christmas and is available from www.roku.com. The RRP is £49.99. A fabulous gift for 3- 7 year olds. 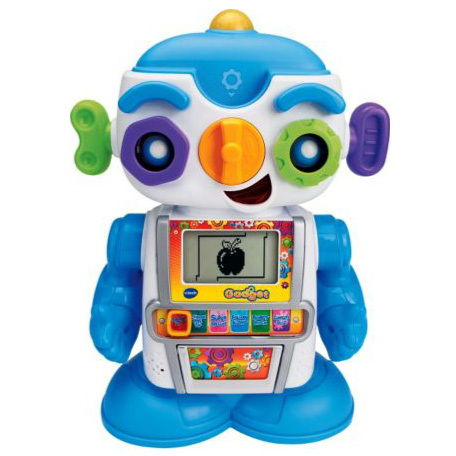 Gadget the Robot is a cool robot friend that will teach children all about letters, numbers, objects, music and much more. The Robot can interact with children and they will love his quirky personality, rocking dance moves and funny responses. The robot comes with 30 learning chips that trigger fun animations on his LCD screen when they are inserted into a slot above his nose. 26 of the chips are letter chips and 4 are special chips. Another great feature of the robot is that it responds to clapping. When a child claps, Gadget does a robot dance which will definitely entertain little ones. Gadget’s ears and eyes are also movable which makes Gadget respond using funny phrases. This wonderful toy would make a great Christmas present. 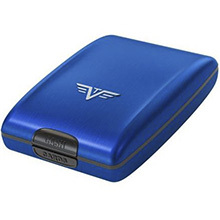 It is available from www.vtechuk.com. The RRP is £39.99. A perfect gift for Dad’s this Christmas is the unique and exclusive tartan collection created by internationally-renowned tartan designers, Lochcarron of Scotland. The bold plaid features four shades of blue inspired by the landscape of Scotland. The design also incorporates white to hint at elements of the Saltire – Scotland’s national flag of St Andrew, and blue and gold to reflect the colours of the European flag. 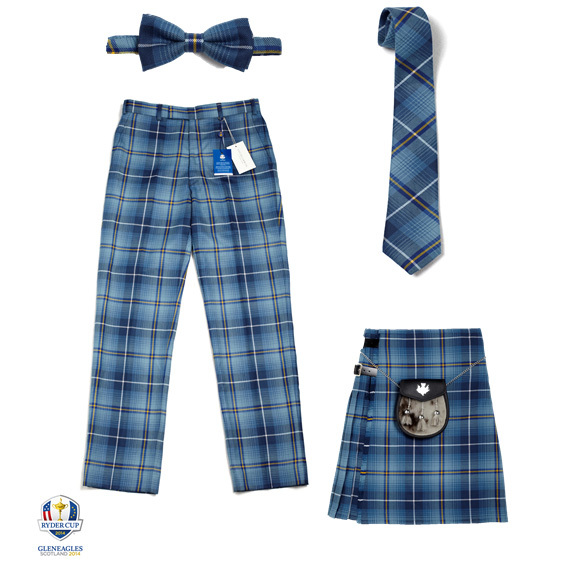 This limited edition range is a proper patented tartan which has been especially made for the Ryder Cup 2014 in Scotland next year. The range of garments available would make wonderful mementos of this historic event. The lovely garments available include a brushed wool rug, a brushed wool scarf, a lightweight stole scarf, a bow tie, a Cashmere throw and a pair of stylish trousers. Women’s garments are also available including a fashionable tartan mini skirt. These gorgeous garments would make lovely Christmas gifts as well as wonderful mementos for the 2014 Ryder Cup. The garments are available from www.scotlandshop.com. The RRP ranges between £17.25 and £450. These fast, rugged, really cool looking cars would make fabulous Christmas gifts for 8 to 12 year olds. The award winning, feature packed Revellutions cars offer pure driving fun and hours of entertainment, fully charged in 60 minutes they run for an impressive 30 minutes. Revellutions cars are fully equipped, so you can get into off-road excitement almost immediately. If you run into obstacles, don’t worry; Revellutions vehicles are built tough to take punishment and keep right on going. Revellutions cars have lots of wonderful features making them an ideal choice for Christmas gifts. 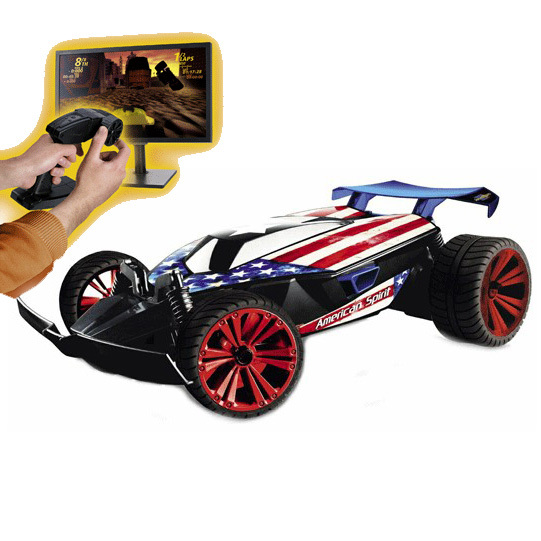 The controller allows you to play the Revellutions racing game online and lets you steer and manoeuvre just as you would a full-size car, perfect for when you car is charging. All Revellutions electronics are dust-proof and splash-proof, so you can drive through puddles or even on sand. The mechanical gear shift also gives you two choices: maximum power or maximum speed. All Revellutions products include the ready-to-run model, a controller, a battery and a charger. Revellutions cars are available from www.amazon.co.uk and all good toy stores. For further information visit www.revellutions.de/en. The RRP starts from £39.99. Playmobil has an exciting array of playsets which will keep children entertained for hours. Playmobil have a wide range of brand new ranges that will encourage hours of creative play. There were 145 new toys launched in 2013 including Police, The Wild West, Ponies, Dinosaurs and Hotels. The all new Dinosaur series allows children to step back into a land that time forgot whilst they play. The centrepiece features an exploding volcano and the king of beasts, the T-Rex. It also has some fully prepared palaeontologists that are exploring the flora and fauna. Other things available are a selection of dino herbivores including Stegosaurus and Triceratops, plus babies, eggs, habitats and exploratory equipment. 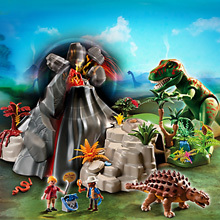 The Volcano with Tyrannosaurus has an RRP of £49.99. Another range available is the Hotel range. This allows little ones to create the perfect holiday experience. The working lift in the hotel transports visitors and workers between floors and each luxurious room has the modern comforts for guests to relax in style. There is even a play area with miniature Playmobil toys and a children’s club disco. The RRP for the Hotel is £99.99. The wide selection of new sets available means there is something to suit every child at any budget. The new ranges are available from www.playmobil.co.uk. Whitley Neill Gin is available in premium retailers including Harrods and Harvey Nichols. The RRP is £32.50. 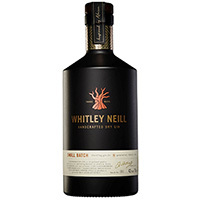 Whitley Neill Gin makes a wonderful Christmas gift that anyone is sure to absolutely adore. It has impressively won the World’s Best Gin at the International Wines and Spirits Awards and tastes delicious. Whitley Neill Gin’s rich juniper, citrus and exotic spices combine with a citrusy sweet peppery nose and a distinctive floral aroma. It’s the unique combination of spices that allow the soft, smooth taste. Whitley Neill Gin has won many awards including World’s Best Gin at the international Wines and Spirit Awards and Gold Medal in the Super Premium Category at this year’s International Spirits Challenge.This really is a superior gin and has a stunning taste.